DETROIT (Reuters) -- Lithium ion battery maker A123 Systems expects production capacity to be constrained over the next several quarters as it recovers from a recall of defective battery packs that were a major factor in its record quarterly loss. 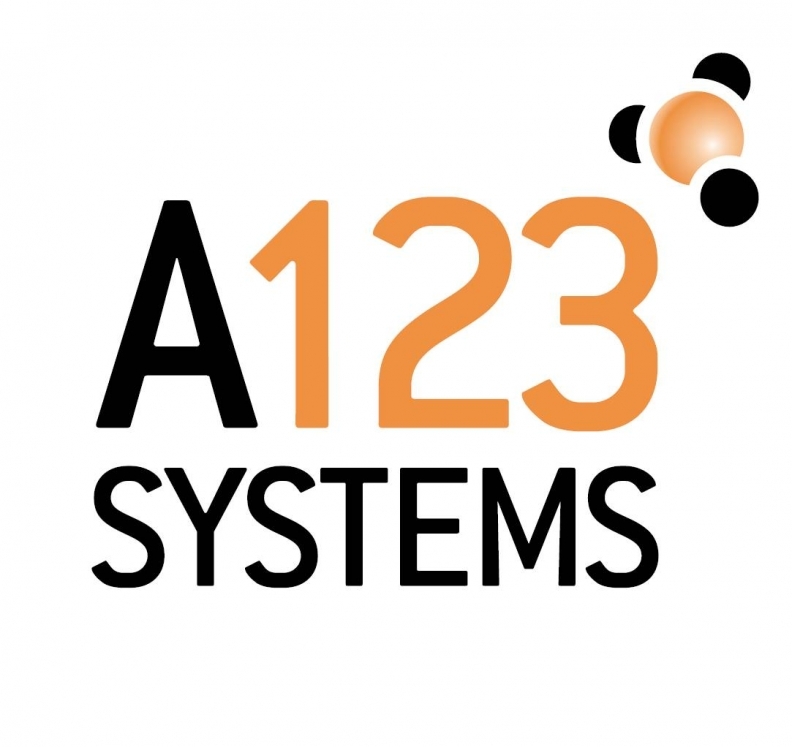 A123 Systems also said today that it has identified and corrected the root cause of the defective batteries, and was shipping replacement products to affected customers. "We intend to provide customers affected by the campaign with replacement products as quickly as possible," A123 CEO David Vieau said in a statement. He added the company's customer pipeline remained strong. In a related matter, A123 shares rallied today after the company said it hired an adviser to evaluate strategic alternatives for the company. Shares in A123, based in Waltham, Mass., climbed 12 percent to $1.02 at 12:54 p.m. in New York. Earlier it gained 14 percent, the most intraday since May 1. A123 has "retained an outside adviser to provide financial strategic advisory services in connection with our ongoing strategic efforts and evaluation of strategic alternatives," Vieau said today during a conference call with analysts. "Saying that they're willing to look at all options may give investors something different to think about," said Amir Rozwadowski, an analyst at Barclays Capital Inc. in New York. "The immediate response is that the conversation shifts to 'what is the value of this company?'" One of A123’s challenges is that its customers are developing an emerging product and some of the buyers are startups, Rozwadowski said. That makes it difficult to forecast project end market demand and drive costs lower, he added. “When you have a mismatch between demand and capacity, you have challenges,” Rozwadowski said. Last week, A123 warned of a huge first-quarter loss due to the battery recall and said much of the production that would have generated revenue this year will be diverted to replace the possibly defective cells. The company, which received a $249 million grant from the Obama administration as part of a program to develop advanced batteries, said the cost of recalling the battery packs would be $66.8 million. A123, which developed as a start-up at the Massachusetts Institute of Technology, said today it was restarting production in a controlled manner at its suburban Detroit plant. The company's first-quarter net loss widened to $125 million, or 87 cents per share, from $53.6 million, or 51 cents per share, a year ago. Revenue fell 40 percent to $10.9 million. The company's previous largest loss had been $85 million in the fourth quarter of 2011, when its revenue was $40.4 million. A123 reaffirmed its full-year revenue outlook, which it had cut last week. It expects 2012 revenue in a range of $145 million to $175 million, down from its prior forecast of $230 million to $300 million. In late March, A123 announced it was replacing battery modules and battery packs that could fail due to a manufacturing defect, which led to a high-profile shutdown of a Fisker Karma electric car while it was being tested by consumer watchdog Consumer Reports. Privately held Fisker is a key customer for A123. Last November, A123 cut 35 percent of the workers at its Livonia plant because of a drop in Fisker orders. A123's automotive customers include General Motors Co., BMW, SAIC Motor Corp., Tata Motors, and commercial vehicle maker Smith Electric Vehicles, based in Kansas City, Mo. A123 customers also include major U.S. utility companies in its power grid division. Vieau, during a conference call with analysts today, said there has been no change in demand and the change in the revenue forecast was mostly due to a shift of those sales to next year. He said A123 will complete shipment of replacement battery packs over the next several quarters. Chief Financial Officer David Prystash said the company now expects to achieve positive quarterly gross profit margins next year instead of by the end of 2012. It expects positive adjusted operating earnings on a quarterly basis next year as well. He also said A123 is talking with potential strategic partners, but said it was premature to discuss the timing or size of any investment. A123 said its current production capacity will be fully used some time next year and it will need additional capacity in the latter part of the year. The company's federal grant, which has $120 million in remaining proceeds, has been extended by two years to December 2014, Prystash said. A123 also qualifies for tax credits from the state of Michigan totaling $100 million, payable in four annual installments of $25 million starting late next year. A123 had said it would show a loss of $51.6 million in warranty expenses from replacing battery packs and modules in the recall campaign for product already in the field. It was also expected to show a cost of about $15.2 million to replace batteries that had been in inventory but not yet shipped.